Kanye West, aged 41 years old. The rapper weighs 75 kg (165 pounds) and has a height of 5’8” (173 cm). His workout includes weight, cardio training, and jogs, which helps him maintain a 42-16-32 fit body. 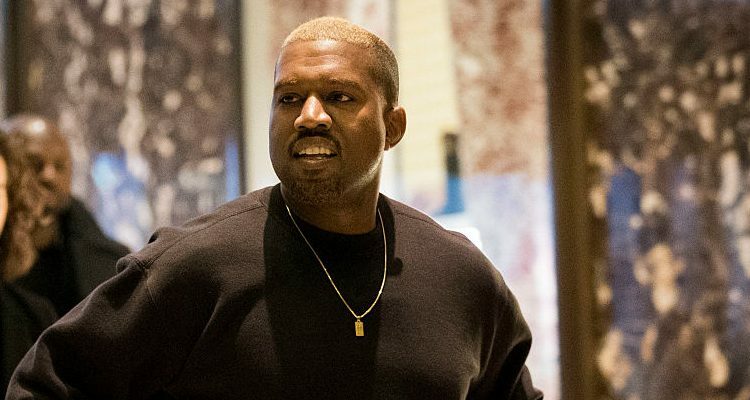 In 2017 Kanye West managed to overcome his fight with mental disorder and come back to his original self. Best Known For: His music albums. To date, he has released seven studio albums and all but one (The Life of Pablo) have gone platinum. West trains with celebrity trainer Harley Pasternak. Pasternak plans West’s exercise in the gym, his lifestyle habits, and diet. Aside from smoothies, West has abandoned his favorite foods like fried chicken and mac n` cheese; instead, he relies on a high-protein diet. He consumes three meals a day and two snacks. All of Pasternak’s clients, including West, carry a Fitbit device in their pocket or wear it on their wrist like a watch. The device is linked with their phones and transfer information to Pasternak’s computer, which helps him monitor their activities. They have to walk up to 12,000 steps per day. Pasternak’s clients have to mail him the diet they follow every day, the number of steps they have taken, and the number of hours they have slept. Pasternak has designed a new smoothie reset diet for West. The diet requires only consuming three smoothies and two snacks for five days. For the first five days of the smoothie reset diet, West has three smoothies and two crunchy snacks. He has a white smoothie for breakfast, a red smoothie for lunch, and a green smoothie for dinner. The smoothies are full of protein, fiber, and healthy fats. His crunchy snacks are either high-protein roasted chickpeas, air-popped popcorn, apples with low fat cheese, or high fiber crackers with turkey.